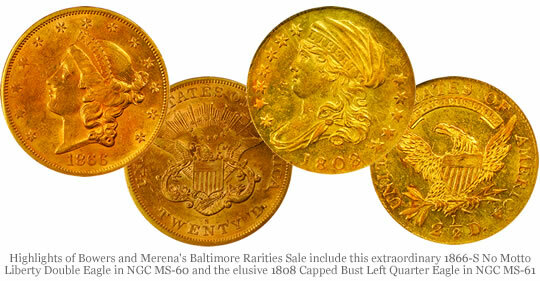 IRVINE, Calif. – Bowers and Merena Auctions, America’s leading rare coin auction house, will host their Baltimore Rarities Sale in July at the Baltimore Marriott Waterfront, just prior to the ANA World’s Fair of Money. The auction of nearly 1,300 lots will be presented on Saturday, July 26, with lot viewing scheduled for Thursday to Saturday, July 24-26, and lot pick-up on Sunday, July 27. The catalog includes approximately 1,100 coin and 200 currency lots. 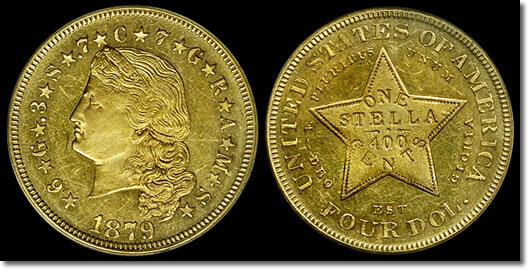 California fractional gold coins are up for sale in Teletrade’s live auction this Sunday, June 22. As Teletrade aptly described the coins in a recent announcement, "these tiny enigmatic gold pieces are shrouded in historic controversy, celebrated by curiosity, and are sought-after favorites of many collectors." These round or octagonal "Old West" gold pieces were privately issued in denominations of quarter-dollars, half-dollars and dollars. Early coins were essential in combating small change shortages, even though they were not minted by the government. And that is just a part of their unique history. Braided Hair Large Cent Struck on Half Cent Flan Discovered in Mason Jar! Rare error to make its first appearance at Heritage’s July 2008 Baltimore ANA Auction. 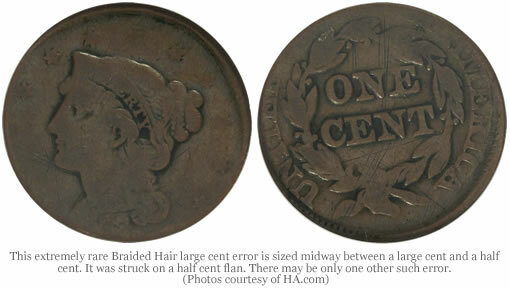 Braided Hair large cent error is sized midway between a large cent and a half cent, and was struck on a half cent flan. Dallas, TX. An amazing Braided Hair large cent struck on a half cent planchet will be making its first public auction appearance at Heritage Auction Galleries’ 2008 Baltimore ANA Signature® Auction. The coin has been consigned by a very private Northwest family whose members were unaware of its rarity or significance. The newly discovered rarity will be sold July 30-August 2, 2008, and the lot listing will be available online at HA.com during early July. 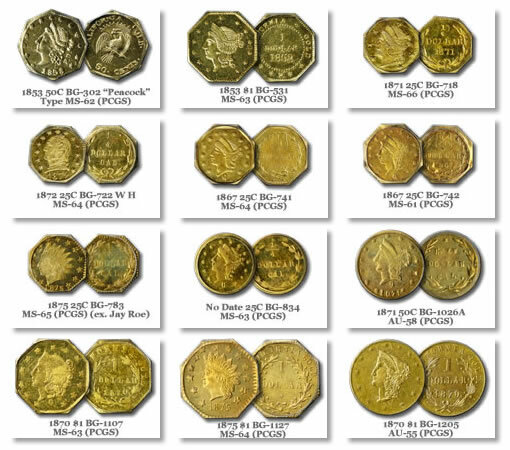 “In more than three decades as a numismatist,” commented Heritage’s Senior Numismatist Mark Borckardt,” and after having examined tens of thousands of large cents, I have NEVER seen a similar error. As soon as I spotted this amazing error coin, I gathered all of the senior numismatists, and none of them could recall a similar piece. When they heard that the coin had sat on the front porch of a house for fifty years in a Mason jar – along with a bunch of other old coins in cans and jars – they were equally astounded!